(TibetanReview.net, Aug12, 2015) – Chinese authorities in Karze (Chinese: Ganzi) Prefecture of Sichuan Province have let out a Tibetan man a month after detaining him for having carried out an apparently lone religious ceremony on Jul 6 to mark the 80th birthday of Tibet’s exiled spiritual leader, the Dalai Lama. 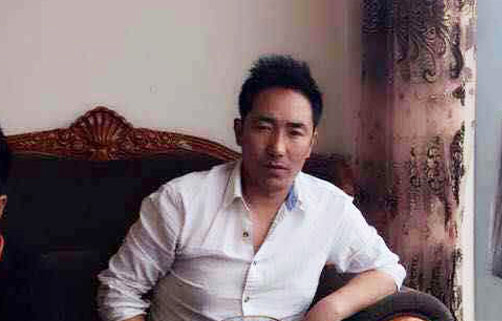 This was the second time the man, named as Pasang Wangchuk, 37, was held in less than a year. He was warned with “severe punishment” if he spoke out about his detention or violated the other conditions on which he was released, reported Radio Free Asia (Washington) Aug 10. The report cited a local source as saying the businessman, and a father of three, had put on his best traditional Tibetan dresses and carried out a very public incense-smoke offering ceremony and was held the next day. It was not clear where exactly and in what setting the offering was made, including whether it was before a portrait of the Dalai Lama. China calls the Dalai Lama a separatist and opposes his foreign travels and meetings, although he only seeks genuine autonomy under its rule for his Tibetan homeland. News about his action and detention emerged late due to China’s continued tight control on communication channels in most of the Tibetan areas, including especially in the sensitive Karze area. The report cited an unnamed local Tibetan as saying Pasang Wangchuk was released on a number of conditions, including that he was banned from travelling or saying anything about his detention. He was warned that violations would result in punishments more severe than those he had already endured. Last year, Chinese police detained Pasang Wangchuk after he carried out a lone protest march on the street of Karze town market. He shouted slogans calling for Tibetan freedom and the return from exile of the Dalai Lama in that Oct 4, 2014 incident. At that time he was release a month later, but with a dire warning. “Police warned him that they would be watching his behaviour for a year,” the report quoted the source as saying.